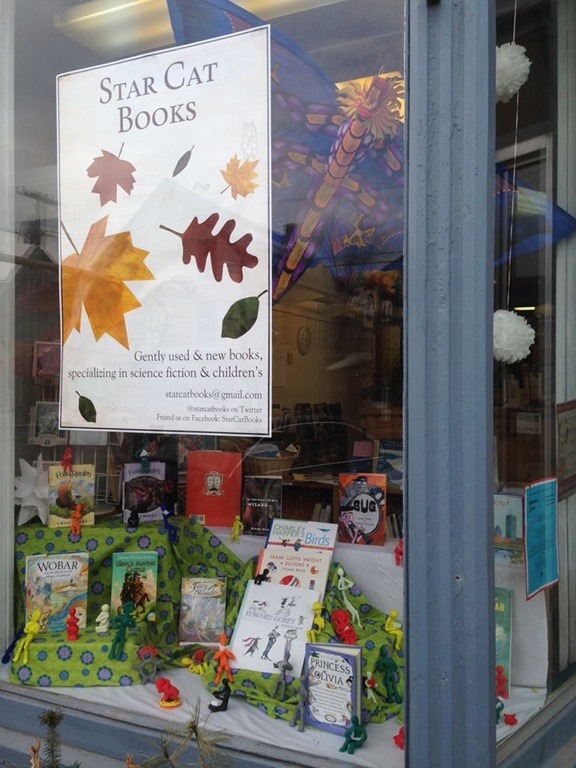 For all you folks out there who are interested in Jim Macdonald’s other artistic vocation (the one that isn’t writing novels), tomorrow and Saturday he’s going to be doing close-up street magic in Bradford, Vermont, as part of the local downtown merchants’ Customer Appreciation Days. Look for him out in front of Star Cat Books – he’ll be the one in the hat. 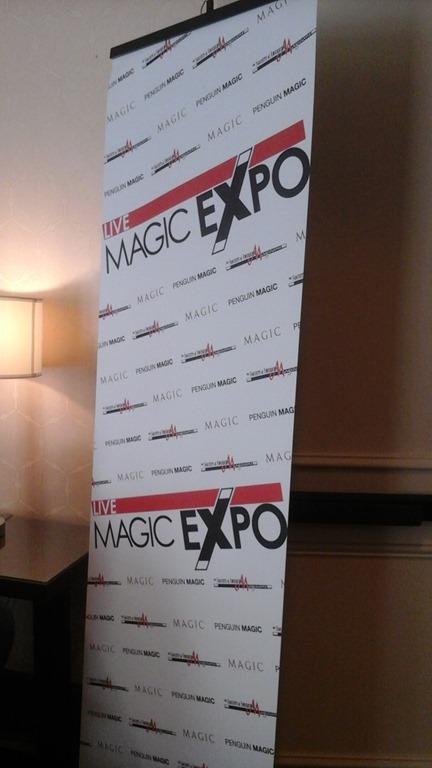 This past Saturday Jim Macdonald and I went down to Boston to see Penguin Magic’s traveling expo, which was there that day. The route and the area were familiar to us, since the Readercon site is in the same general neighborhood, but this time it wasn’t science fiction that brought us there, but Jim Macdonald’s other freelance avocation, stage magic – which isn’t as far a cry from writing sf and fantasy (or writing in general) as one might think. Both jobs involving entertaining, and sometimes enlightening, the public by creating believable illusions . . . and both of them take a lot of hard work and practice. Jim had a good time watching the demonstrations. 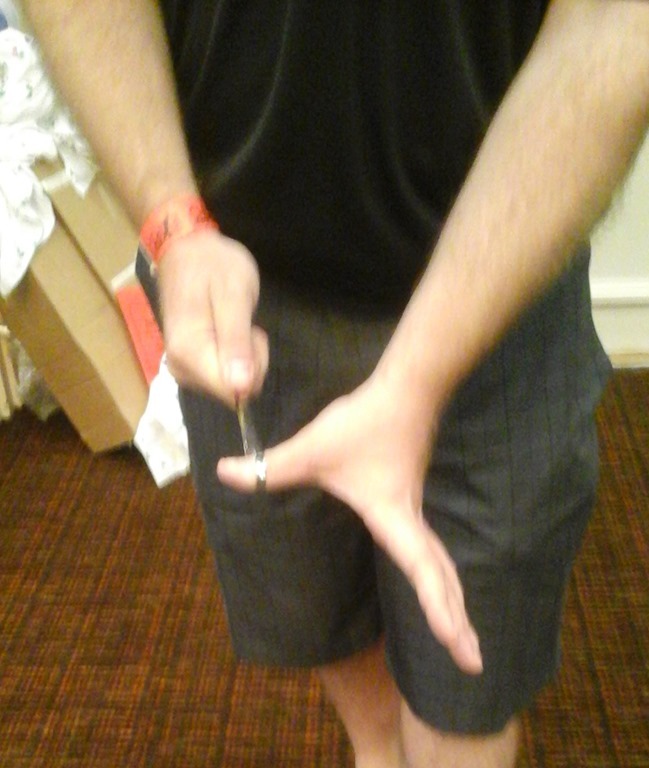 I don’t do stage magic myself (my job, in my role as Magician’s Significant Other, is to be the test audience and general critic for new tricks, old tricks, and routines under development), but I had a good time anyway. The event had a lot in common with various other specialized meetups I’ve attended or spectated at in my time – rock and mineral shows, mustache-growing contests, sf and fantasy conventions, and yes, writer’s workshops. There’s a peculiar pleasure to be had in the company of a bunch of other people who all share the same obsession, and who can be counted on to understand why a person might spend all afternoon working on a new method of cutting a deck of cards, or trying out different ways of punctuating a particular sentence. 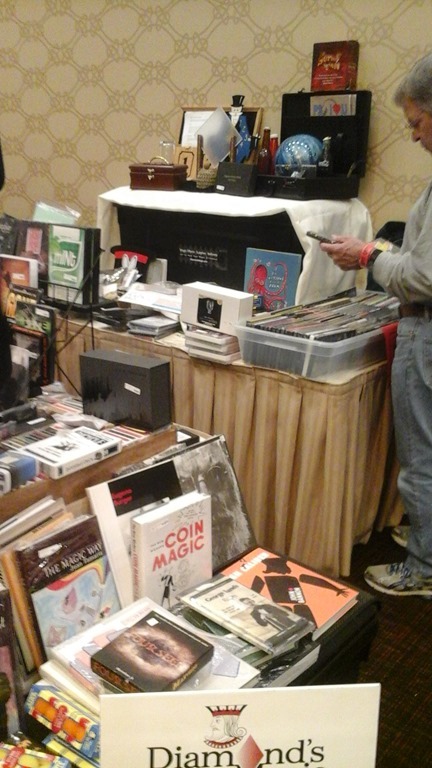 As is often the case at these specialized events, there’s also the pleasure of cruising the dealers’ tables and trying not to spend more money than one had absolutely budgeted for the purpose. The setup to the left there belongs to Diamond’s Magic, which is local to the area (up here in the north country of New Hampshire, we count Boston as “local” for certain purposes. Montreal is actually closer, but we don’t need a passport to get to Boston, or at least not yet.) We highly recommend them for all your magic-related shopping needs. And a final note: speaking of specialized groups and shared obsessions and the company of other people who understand why that comma is important enough to spend an afternoon fretting over it: The application period for the Viable Paradise workshop remains open until 15 June. If you’re planning to apply, why not get your application in now and avoid the last-minute rush? Yes – it’s grey and rainy outside today, which means that it’s peeve time here in blogland. But seriously, people, if you’re going to throw in Latin phrases, at least spell them right. The Science Fiction and Fantasy Writers of America 50th Anniversary Cookbook, edited by Cat Rambo and Fran Wilde, is now available for pre-order. It contains 175 recipes as well as interior illustrations, and is available in both print and e-book formats. Working, mostly, clearing my way out from under a couple of editing gigs. 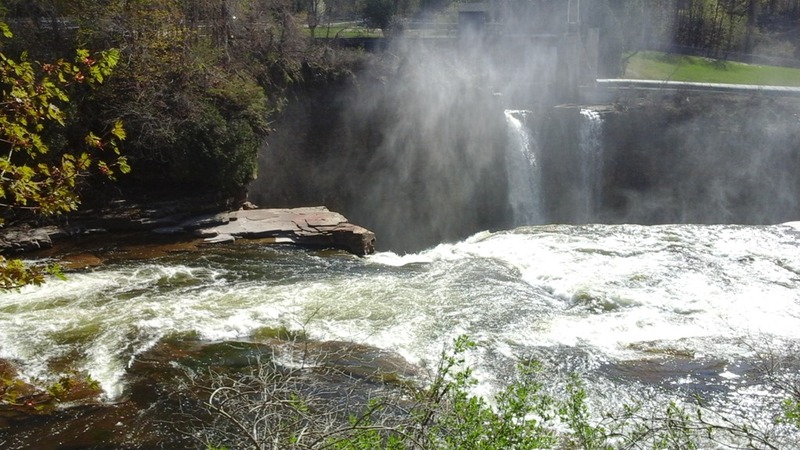 Our trip to Albacon went well – it was a pleasant local convention with congenial people – and we were able to make a side trip to Ausable Chasm on the way out. All we had time for – we didn’t want to miss the Albacon Ice Cream Social later that evening – was the basic two-hour self-guided trail walk (well, Jim did the trail walk; I, as befits a person who has been spraining my ankles on everything from loose rocks to cracks in the linoleum since I was six years old, stayed up on the bank and enjoyed the tranquility.) But I suspect we’ll be going back, now that we know what’s there. Both the chasm and the convention come highly recommended – do check them out if you have the opportunity. Jim Macdonald and I are going to be in Albany, NY, this weekend, at Albacon 2014.5. If books I especially like are considered as analogous to chunks of beef, while books I don’t care for that much are considered as analogous to a collection of assorted vegetables, then “this beef stew has more vegetables in it than I prefer” is a not unreasonable statement. Likewise, the assertion “this isn’t a beef stew with vegetables anymore, it’s a vegetable stew with beef” – while almost certain to be productive of considerable argument about the precise definitions of “stew” and “with” (and probably the definitions of “vegetables” and “beef” as well, once people really get going) – isn’t especially unreasonable, either. What is unreasonable, though, is if I go on from there to shouting out loud in the public street that my local diner HAS BEEN TAKEN OVER BY A VEGETARIAN CONSPIRACY!!! And if at any point I start threatening to burn down the whole diner if the proper proportion of beef (good) to vegetables (bad) is not restored, then I have become a danger to the community and ought to be gently removed from it. Applications are still open for the Viable Paradise Writer’s Workshop on Martha’s Vineyard, running this year from October 18-23. If you’re definitely planning to apply, help spread out the admin workload by going ahead and doing it now; if you’re still on the fence about it, let me urge you to give the workshop a try. It occurs to me – as it does every year about this time – that not everybody outside of New England can be counted on to know that Martha’s Vineyard is an island off Cape Cod, accessible by Cape Air and the Martha’s Vineyard ferry. (Or, I suppose, by your private plane or personal yacht, should you have one.) As such, it has excellent seafood, five picturesque lighthouses, and glowing jellyfish. Applications close on the 15th of June; get yours in now and avoid the rush!